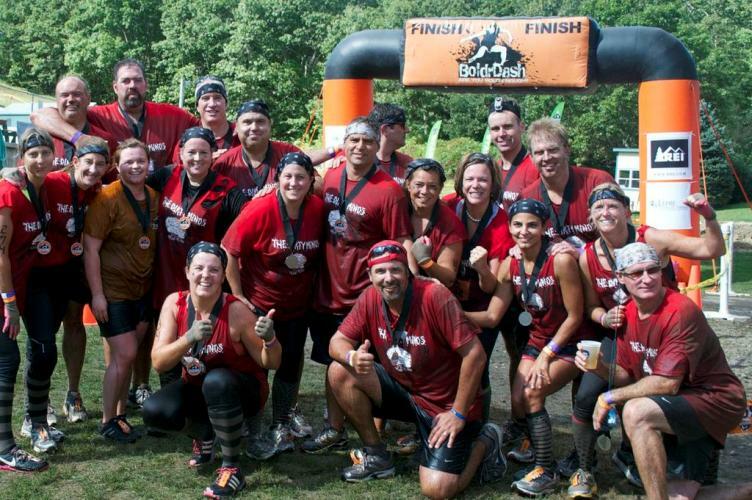 Famous for it''s crazy and unique Scalable Obstacles, BoldrDash returns for the 4th straight year to Yawgoo Valley Ski Area and Sports Park in Exeter RI on September 13th, 2014! From elite racers to beginner athlete this is a muddy adventure for everyone. Challenge yourself at your level of fitness. With over 25 obstacles on a 5K course you do not want to miss out on this incredible and muddy good time. Expect hills, walls, hills, our special cargo nets, hills, surprises, oh... and, HILLS! If you''ve run our Mud Event before then you know we change it up every year, but don''t you worry - we will keep your favorites - can you say "120ft Slip and Slide"? BoldrDash Race does not use Fire, Barbed wire, or electrodes. Rather than testing our racers with ‘fear factor’ obstacles – we challenge you with obstacles that test your drive, determination and your camaraderie and team work with other racers. You will climb, slide, pull, push and crawl your way to the finish line. Waves of 100 go out on the course every 20 minutes beginning with our elite wave at 9:00am. Registration is $66.00-$81.00 Event is $5-$10 for parking with shuttle bus provided, bag check is available for free and spectators are $5.00.